There is no doubt that we are uniquely placed in the ACT in terms of scientific entrepreneurship. In fact, commercialisation of science is a worldwide trend, and we are lucky enough to have a fair dollop of that pie right here in Canberra. This week I got to know Debbie Saunders. An entrepreneurial, researcher, from the ANU. Debbie is passionate about wildlife and seems to be committed to spending her life researching Swift parrots. How is that for dedication? So, why is she entrepreneurial and bucking the trends? Well, she has won well over a million dollars in research funding so far, reached the finalist stages in the regional Australia Post Entrepreneurial Pitchfest recently held in Canberra, and there is international demand for her newly invented “Wildlife Drones”. These drones are capable of remotely tracking small, tagged animals in the wild. The applications are endless and the interest internationally is already intense. And she’s one of our own, folks. We can be proud of Debbie and her business partner Roz Wallace, for this innovative enterprise. After finishing her degree and unable to find work within the wildlife research industry, Debbie undertook a variety of volunteer work and established local community education tours and workshops about local wildlife with the support of the Coastal Environment Centre, Narrabeen. Then as an environmental consultant for Biosis Research, she learned much about a wide range of threatened species over four years. This was followed by a stint at Macquarie University, in the Key Centre for Biodiversity and Bioresources, where she spent a great deal of time managing people and studying insects and alas, not enough field research for her liking. So, she snapped up the opportunity to do seasonal work for the National Swift Parrot Recovery Program, based within the NSW National Parks and Wildlife Service. This was interspersed with bouts of travelling to exotic places such as Papua New Guinea, Costa Rica and volunteering for a diversity of conservation and research projects. After a number of years, running the recovery program, she had collected much data and therefore embarked on her PhD on the conservation and ecology of Swift Parrots at the ANU, where she had won a scholarship through the Fenner School of Environment and Society. Having successfully graduated with the floppy hat and securing the title of Doctor, she headed off again, but this time to South America and the Peruvian Amazon to volunteer for a Macaw research project. 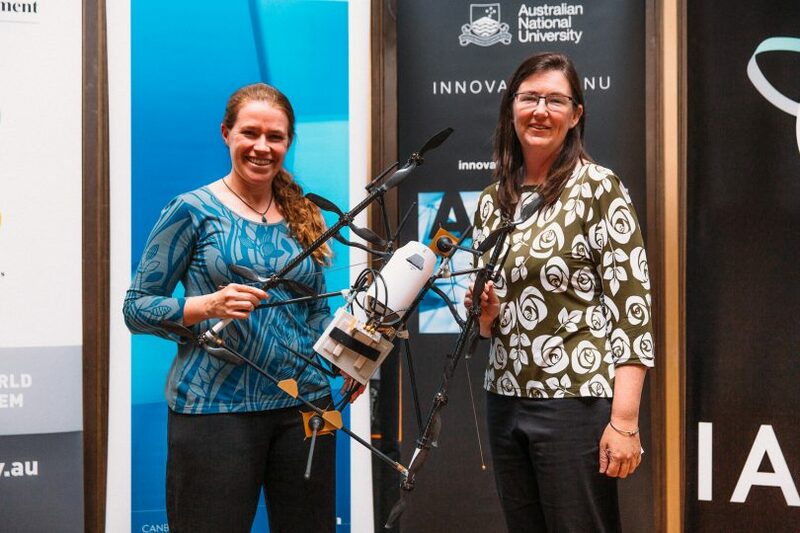 The beginning of her entrepreneurial journey began in 2011 (although unknown to her at the time) when Debbie and her colleagues were awarded an ARC Linkage grant for her Swift Parrot drone tracking project. This was an idea she had been formulating ever since her PhD days when she was throwing ideas around with a colleague working on Lions in Africa. After much searching for suitable project partners with the technical expertise to help to build the drones she had in mind, she came across the Australian Centre for Field Robotics (ACFR) at Sydney University, in addition to seven other government and non-government partner organisations. 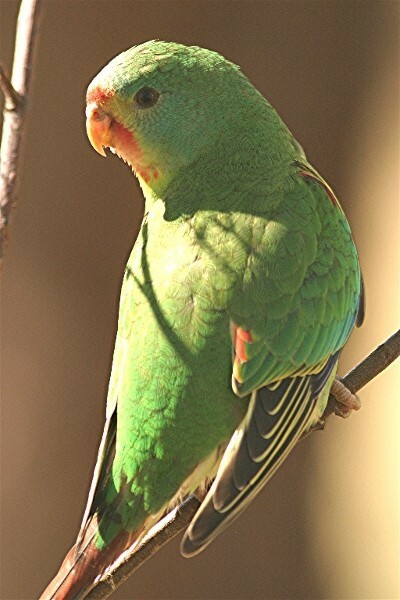 This included Loro Parque, a Spanish parrot breeding and conservation organisation, who was a key partner and provided the required industry “Linkage” funding to apply for the grant. Although funding still remained elusive, with three major grant applications submitted over a number of years before the idea was realised. There is nothing like persistence. This project involved a number of different elements happening at the same time, ranging from captive trials for tag attachment methods at Adelaide Zoo, the robotics guys working on the drone system, and a PhD student studying the swift parrots within their breeding zone. By the end of the project, they were able to demonstrate that they could successfully track wild birds with the drone, and critical new insights were provided on the species’ breeding biology. With the project drawing to a conclusion they did some media about their achievements and the response internationally was beyond what they had ever imagined. Although their research project was over, there was now an obvious demand from around the world for such technology, with people contacting Debbie every week seeking to use this new innovation. Her entrepreneurial journey had begun. Curious about the world of start-up businesses and innovation programs, in 2016 Debbie set about educating herself about what it takes to establish a sustainable and profitable business. She then joined forces with her colleague, Roz Wallace, to participate in the unique Innovation ACT program, where they were thrilled to win their first innovation award, as well as acquire many of the required skills to establish a business. Concurrently, they were also accepted into the CSIRO ON Prime program, and start-up bootcamp, for translating research into business which provided a steep learning curve as well. They wanted to build on this success in 2017, and were finalists in the Australia Post Regional Pitchfest. They have also recently managed to win a highly coveted, ACT Government Innovation Connect award to help establish their business here in the ACT. So now the start-up business is off the ground and running and they are continuing to learn, adapt and apply themselves in new ways to address all the challenges that arise along the way. They are also in the process of expanding their team’s expertise to include specialists in the fields of radio engineering, market research, and UAV/drone engineering. They believe that Wildlife Drones is sustainable going forward, with a two-tiered model for commercialisation. The first, is to hire out “pay load” to attach to the drones and alternatively, a full-service model. Wildlife Drones expects to have a fully commercial system operational by the end of 2017. They are pioneers in this field of research, and commercialisation is well within their grasp now. Roz is a fully employed partner and Debbie works one day a week at the Fenner School at ANU, where she recently secured $1Million for a swift parrot habitat restoration project. Her passion to shed new light on the most fascinating wildlife movements is not about to dwindle, given she just spent the last two weeks delivering a radio-tracking project on swift parrots for her first customer. This included one final demonstration of the drone radio-tracking technology developed as part of her previous research project. With a twinkle in her eye, Debbie tells me passionately that she wants to make a full-time living as a woman working with wildlife and technology, and inspire others to do the same. Debbie is keen to shed new light on the least known wildlife species on our planet, such as those that are too small to track using GPS or satellite, or those that live in the most rugged and remote landscapes. She can imagine having hubs of Wildlife Drones all around the world, providing unique and innovative animal tracking solutions.